For a chef like you, the kitchen is the most important part of the house. You often shoot cooking shows inside your house so you see to it that your kitchen remains classy. Everything that you use for cooking is classy. In fact, you have a golden knife and a sliver platter. Sadly, those things can't help you now that you can't get out of your kitchen. There is too much heat in here and the exhaust fan isn't working. You need some air so you have to escape from this kitchen quickly. 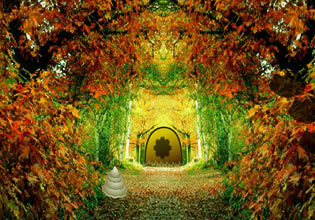 The only thing that can open the kitchen door is the key. Unfortunately, you don't know where the key is. You know where the silverware is but you don't have an idea where the key is. 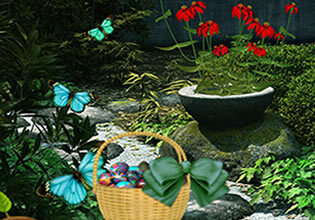 On the good note, there are clues that can help you to find it. You just have to solve some puzzles before you can finally find it. 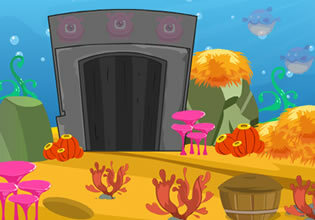 There are hints in there that can help you to solve the puzzles. 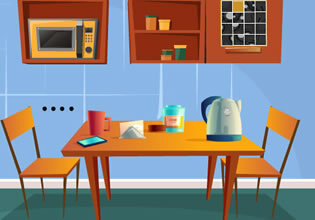 There are also items in your kitchen that you can use to solve those. 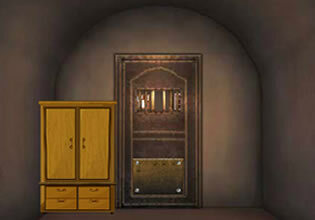 Classy Kitchen Escape is a new room escape game by Genie Fun Games that will test your logic. Good luck!